There are still plenty of beautiful plants that stand out during winter! The Cheekwood garden team has hand selected their top plant picks for December from 8 of our distinct gardens. Use this as your guide as you explore the grounds. Currently, yellow fringe is displayed on the bare branches of this shrub as if someone just popped a cannon full of confetti. 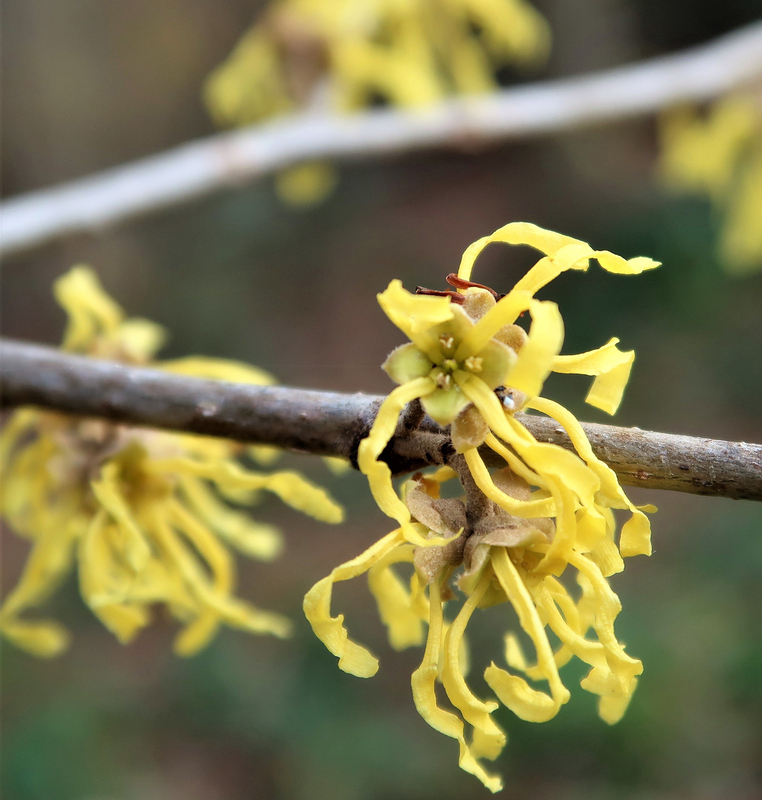 Meaning “together with fruit”, flowers, ripe fruit and next year’s leaf buds are all present on the Hamamelis branches at the same time. The flowers are unique and showy, even slightly citrus-scented. It is native to eastern North America and may be most well known for its role as an extract with antiviral and anti-inflammatory properties. The interest extends throughout winter with the graceful architecture of its branches. 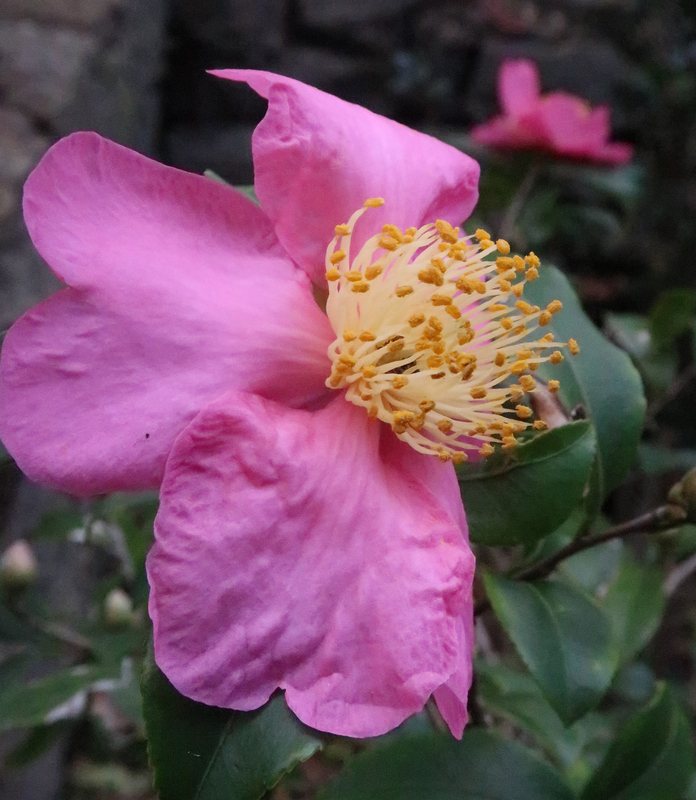 A smaller species than C. japonica, with a more rounded form, this camellia is native to China and Japan and features pubescent stems. Less cold hardy than C. japonica, its blooms persist from fall to early winter, and the tough, dark evergreen foliage is a welcomed sight when there is a shortage of green during the colder season. Being cold hardy to zone 7, it is likely to survive the winter fine here in Nashville. Though, if death by frost does concern you, be sure to plant in a protected area or in a container that can be brought indoors during the winter months. Overall, breeding efforts to increase cold hardiness in camellias has improved significantly over the last few years. 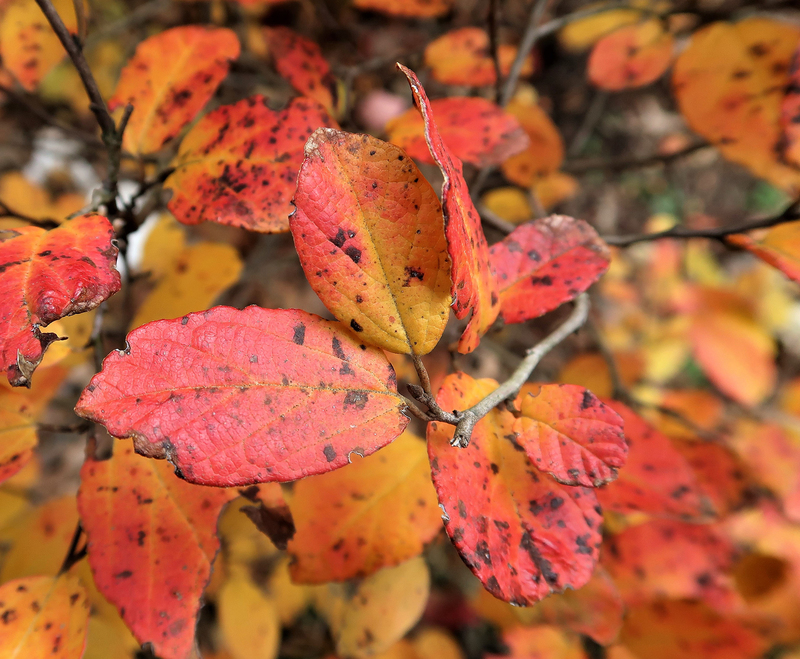 Fothergilla is an outstanding native with zigzag stems, rounded outline, attractive, honey-scented spring flowers, and bold fall color. When young, Beaver Creek® is nearly indistinguishable from the very popular cultivar, ‘Mt. Airy’, though its fall color involves more orange and red hues. With age, its habit becomes more compact than any other cultivar or the species. Fothergilla is rarely, if ever, affected by disease or insect. Often used as a landscape accent (as seen in the Burr Garden) or in groupings, this small shrub is also effective for foundation plantings and as a native garden component. 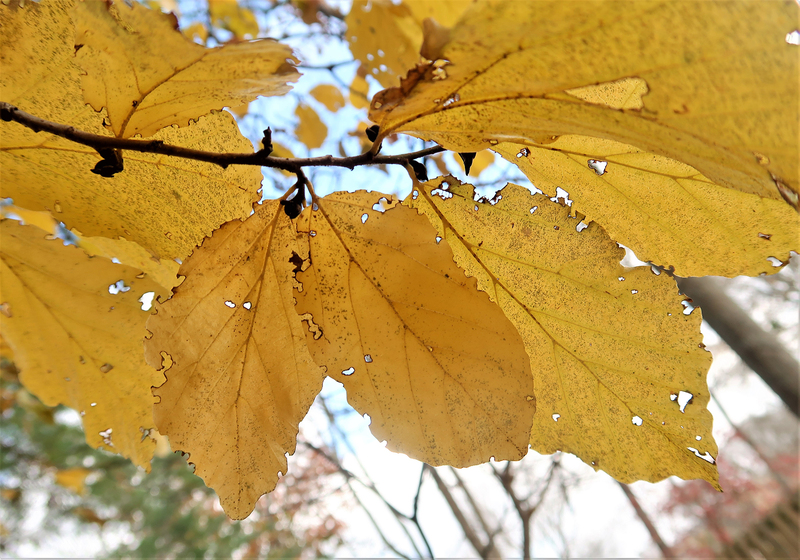 Persian Parrotia is a member of the witchhazel family and a rather exceptional specimen in full golden fall regalia can currently be seen in the Carrell Dogwood Garden. The bark of this tree is also handsome, shades of gray, green, and brown, exfoliating in interesting shapes. P. persicamakes an excellent choice for a small ornamental lawn tree for a full sun site. With its small, clean habit and excellent resistance to pest and disease, Parottia also makes a perfect street tree. It will tolerate a small amount of shade as well as a wide variety of soil conditions. Nearly all horticultural sources state that this beautiful, multi-seasonal interest, and low maintenance tree is not planted enough! Uniquely tolerant of wet soils (the genus is known for its extreme drought tolerance), this species is often preferred over other Andropogons due to its broom-like inflorescences and upright, tidy habit. 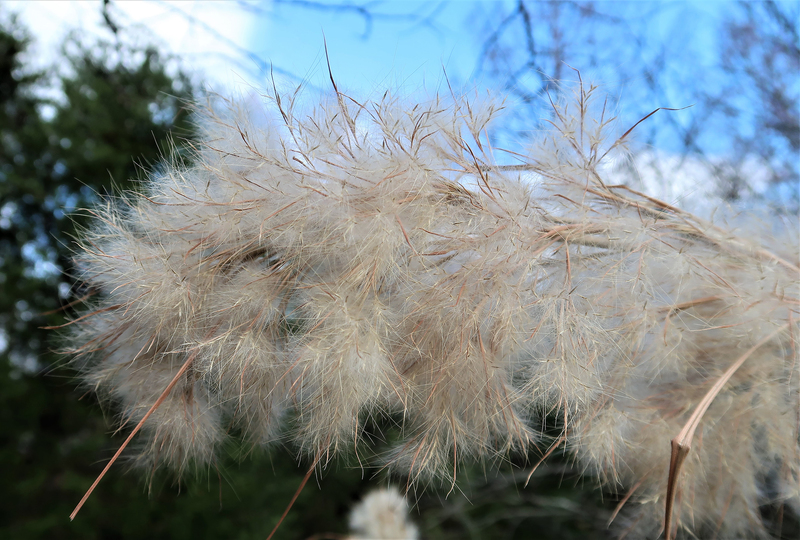 In the late fall and winter, they are perhaps most attractive, the soft cloud-like seed heads sitting atop bronze-red foliage. They transform the Howe raingarden into something ethereal. If you are interested in adding this native plant to your landscape, be aware that it is a profuse re-seeder. Hardier than the species by at least one zone, Ilex decidua ‘Warren’s Red’ is known for its heavy and persistent, vibrant red fruit set. Along with its glossy, dark green foliage and silvery bark, this cultivar is by far the very best selection to add to a landscape. 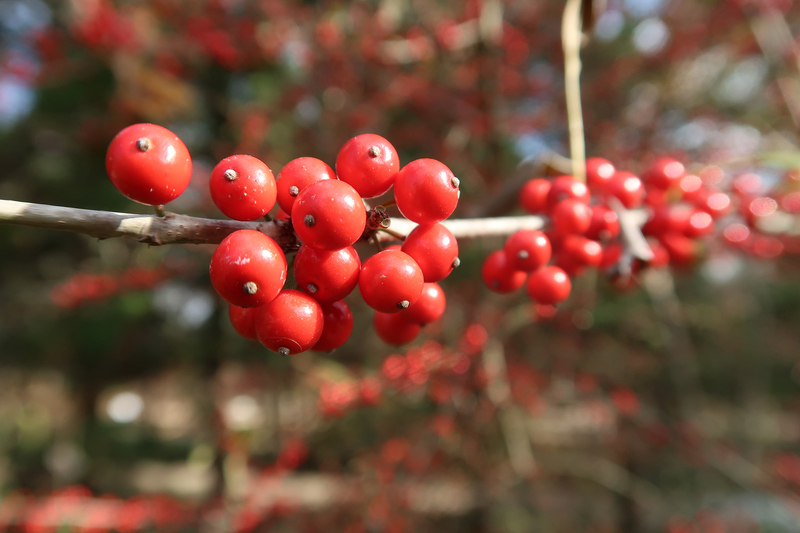 Deciduous holly is native to the southeastern Unites States where it can be seen from river banks to open woodlands. Perfect for attracting birds (as well as deer and possums) it prefers acidic soil and can tolerate somewhat wet conditions, reaching an average height of 14 feet tall. Though great as a specimen plant, it is even more impressive when planted as a hedge or larger grouping. Installing at least on male I. deciduawithin a group will ensure pollination and therefore the best fruit set. Chamaecyparis nootkatensis is a native to the Pacific Northwest from Alaska to Northern California. ‘Pendula’ is a graceful weeping pyramidal form with flattened sprays of aromatic foliage in blue-green tones. It looks absolutely stunning beyond the Reflection Pool, just before the steps up to the Petite Swan Lawn, providing a dramatic and stately focal point. 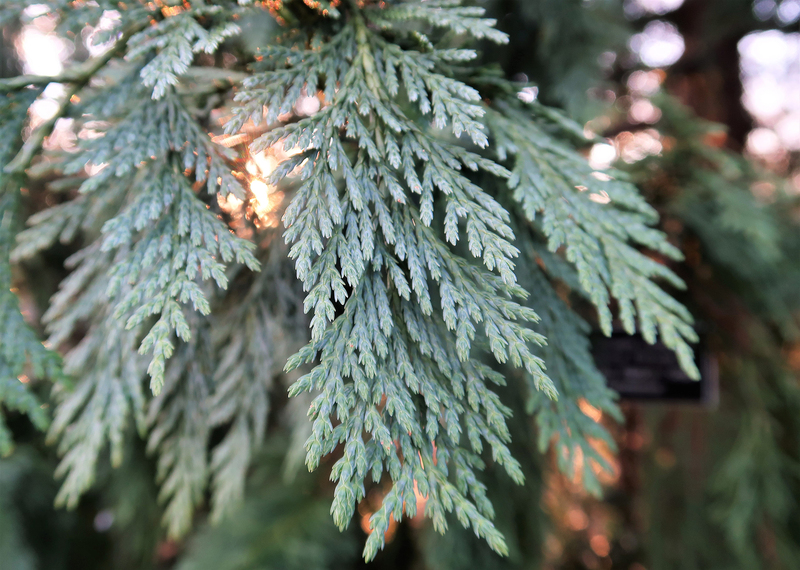 Weeping Alaskan Cedar prefers full sun and well-drained soils, thriving in moisture-rich atmospheres. It is drought tolerant once established. One of the most outstanding groundcovers for coverage without being overly aggressive, R. hayata-koidzumii features unique, small, lobed foliage that is evergreen in zones 7-8, though it is not reliably evergreen in zone 6. If temperatures drop to 0°F, the plant will certainly die back to the roots, going dormant until spring. Its growth habit is an interesting combination of matting and creeping, known to be more creeping in shadier sites. It does bloom, though the flowers are small and mostly hidden by the foliage are often overlooked. The fruit is an orange aggregate. 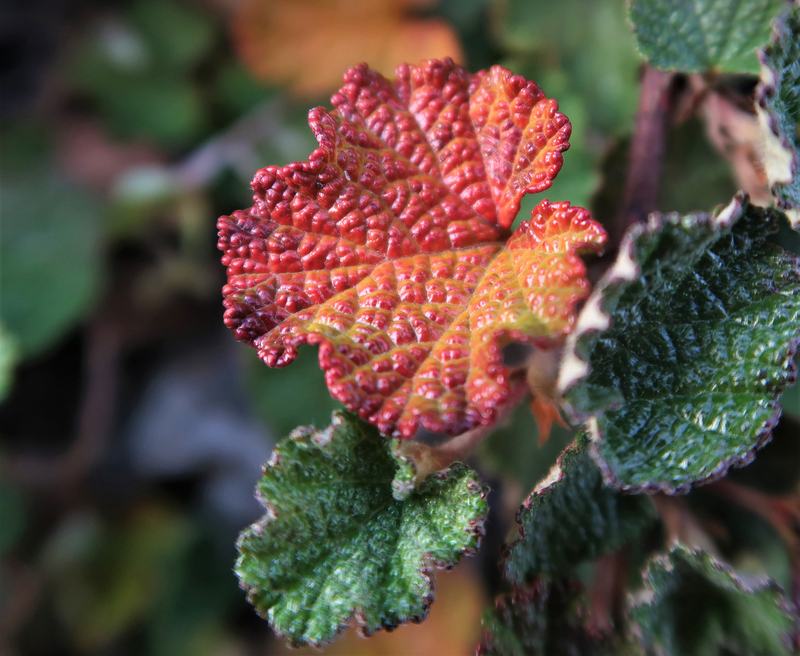 Fall color for this groundcover is exceptional, consisting of burgundy and orange hues. See this Taiwanese native draping over the wall at the Wills Perennial Garden.